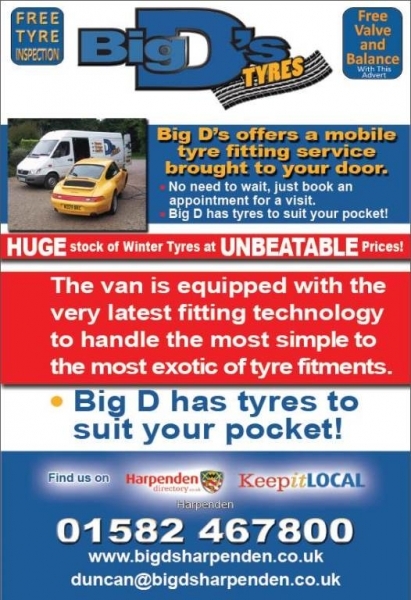 Duncan Craddock is the ‘D’ in Big D’s Tyres, a local Harpenden man backed by over 35 years of tyre industry experience. Big D is offering a mobile tyre fitting service brought to your door with all of the following benefits. 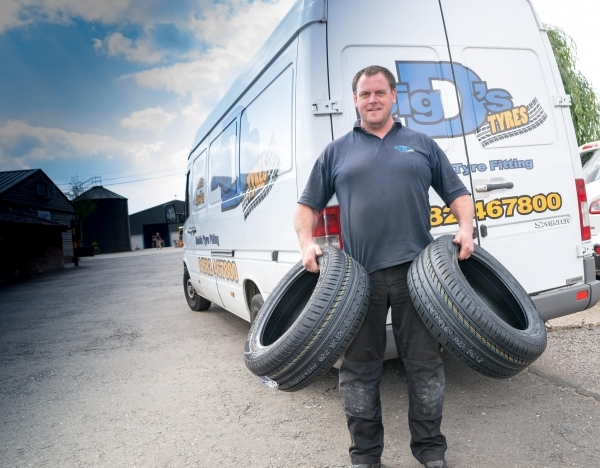 The van is equipped with the very latest fitting technology to handle the most simple to the most exotic of tyre fitments. 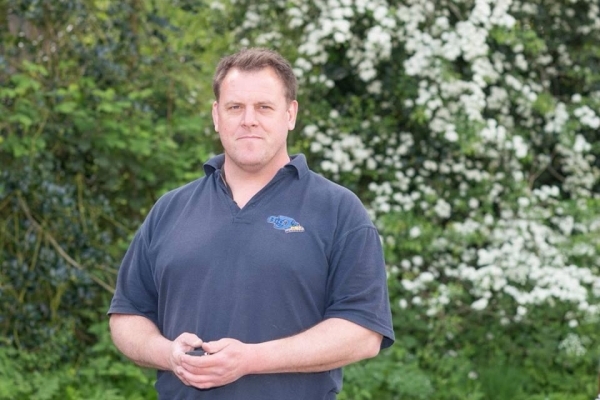 "Within 24 hours of calling Duncan, our 2 new tyres were supplied and fitted on our driveway with no fuss. Having checked online, we couldn't buy the same tyres anywhere for the price that Duncan supplied AND fitted for. 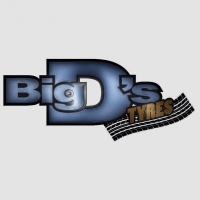 If you need new tyres of any sort, call Big D's for a quote - you won't go wrong."